Mint state and key date listed Draped Bust Half Dime values is for graded, certified and authenticated coins in PCGS or NGC holders. The rest are a sample of raw coin sell but this is not a guarantee your coin with the same date, mint, grade and holder will sell for this exact value. All of the dates are rare but some have lower reported mintages and thus lower survival rates-the 1802 leads the pack as the key date among regular issues and value starts at $25,000 raw and much more when certified and graded. The 1802 is followed in rarity by the 1796/5, the 1805 and the 1800 LIBEKTY but none of the mintages reached 45,000 for any given year, so they’re all rare and valuable. 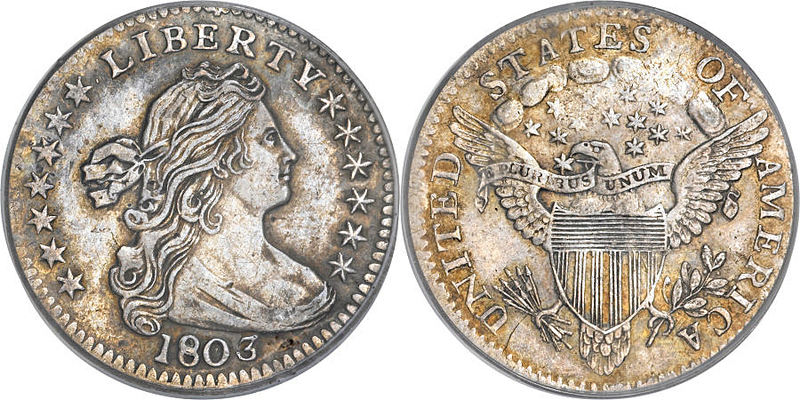 The value on AG3 graded Draped Bust Half Dimes begins at just over $1,000 for the higher mintage dates like 1800, 1795 15 Stars, 1801, 1805, 1803 Large 8. However the value is less than $1,000 if the coin is damaged with a hole, scratches or harshly cleaned, so you can find genuine and ungraded examples a bit cheaper. AG3 values for the lower mintage dates mentioned above can be as much as $25,000 and as less as $2,500, but in higher grades these coins no matter the mintage are worth thousands of dollars. 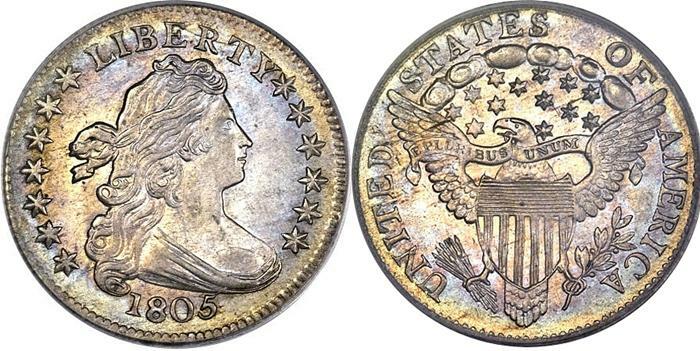 All of the dates are worth near or over $10,000 in EF45 (Extremely Fine) or above and the 1802 is worth at least $140,000 in VF30 (Very Fine). Just about every date has at least one variety and the most valuable variety is the 1797 13 Stars that starts in value at $2,000. 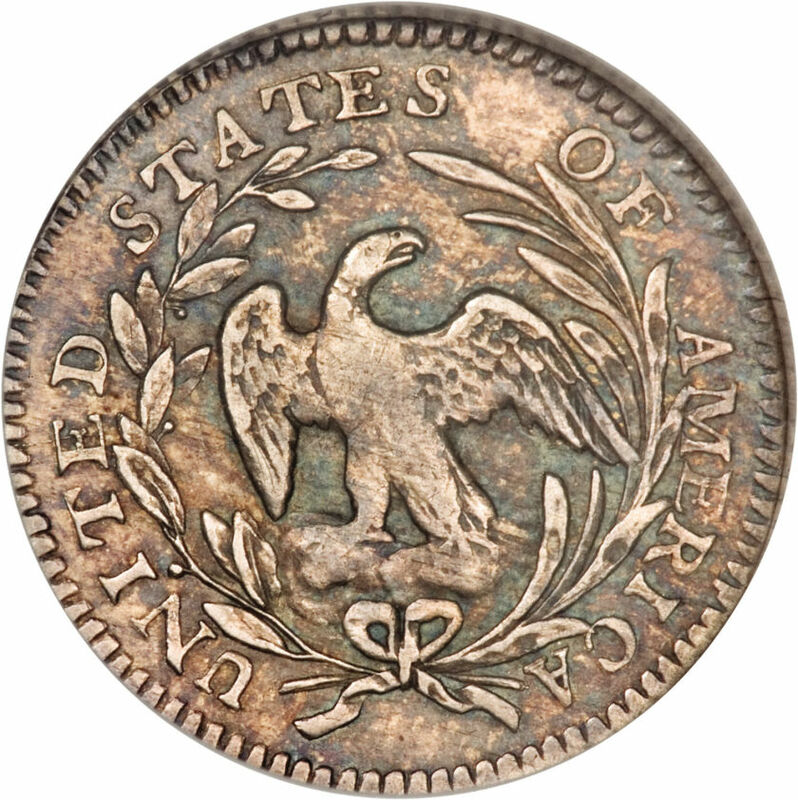 The 1803 Large 8 is the least valuable that starts in value at $1,100. So count the stars on the 1797 and check the spelling of LIBERTY for the dates 1800 and 1796, and look for over-dates since these can effect the value of these coins. Draped Bust Half Dime Value is determined by their, mintage, grade, date and condition and variety a particular date is. Worth of Draped Bust Half Dime.